Update: it seems the domain is just being used to promote BES12.2, which brings integration with Samsung's KNOX Workspace, Android for Work, and Apple Device Enrollment Program. Struggling phone maker BlackBerry has registered AndroidSecured.com and AndroidSecured.net domain names, leading to speculation that the company’s rumored upcoming range of Android handsets may soon be released. BlackBerry has stated several times that security in its products is the company’s utmost concern. If BlackBerry does release a range of Android smartphones in the near future, it may use the ‘Android Secured’ sites as a way of promoting the safety and security of the devices. It’s thought that BlackBerry is planning to launch two Android smartphones this year, both carrying the company’s distinctive physical QWERTY keyboard. The first one, codenamed the BlackBerry Prague, is rumored to be an entry level model that could be released as soon as August. The second rumored BlackBerry Android device carries the codename BlackBerry Venice. This model is thought to be a high-end handset, sporting features such as a QHD display, a Snapdragon 808 processor and 3GB of RAM. The Venice may be released around November. 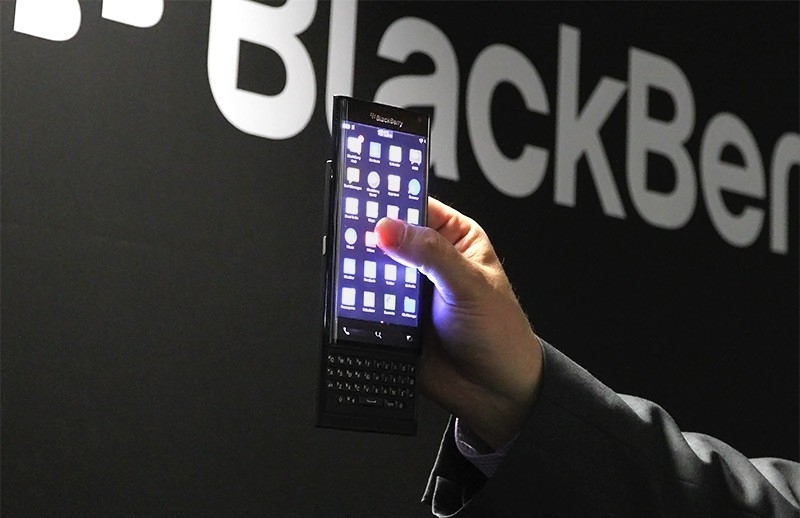 Once a market leader, BlackBerry's homegrown mobile operating system has failed to win over new smartphone customers. BlackBerry phones currently make up only 0.3 percent of the smartphone market, according to IDC. The company is likely hoping an embrace of the Android OS will help turn its business around.